BECOME A HERO! Pass, shoot and score to become a true football legend, and offer a prolific career to your player through over 600 exciting levels! The captivating 3D gameplay of Score! ensures you total control of the action. Drill your opponent's defenses with your outstanding ball driving, or brush your shots in the middle of the game, all in an unprecedented mobile gaming experience. + Attend regular events for medals and fame. 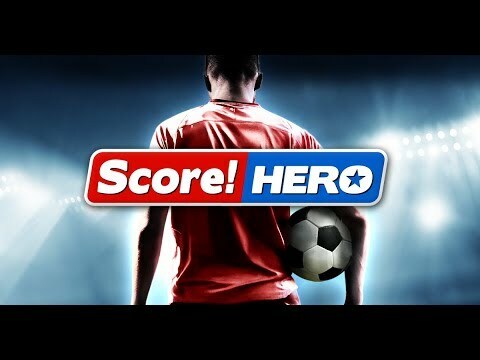 + Get unprecedented freedom and strategy with the new Score Engine! + Enjoy stunning graphics, cinematics and 3D animations. + Customize your player to give them a unique look. + AI adapts to your passes and shots, making each match different from the previous one. + Connect to Facebook to face your friends! + Access Google Play's successes and rankings to see the best players!